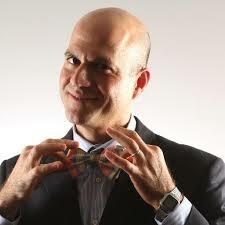 Co-Founder and CEO Farzad Mostashari, MD, has spent his career at the forefront of health care policy and health information technology. Dr. Mostashari is the former National Coordinator for Health IT at the Department of Health and Human Services, and served as a distinguished expert at the Brookings Institute’s Engelberg Center for HealthCare Reform. Prior to his work at the Office of the National Coordinator, he founded the NYC Primary Care Information Project, which equipped 1,500 physicians in underserved communities with electronic health records. He has spoken and written extensively on issues affecting health IT, ACOs, and health care policy and delivery. He has been published in the New York Times, the Journal of American Medical Association, and Health Affairs, among others. Dr. Mostashari received his MD from Yale University School of Medicine and his Masters in Population Health from Harvard T.H. Chan School of Public Health.